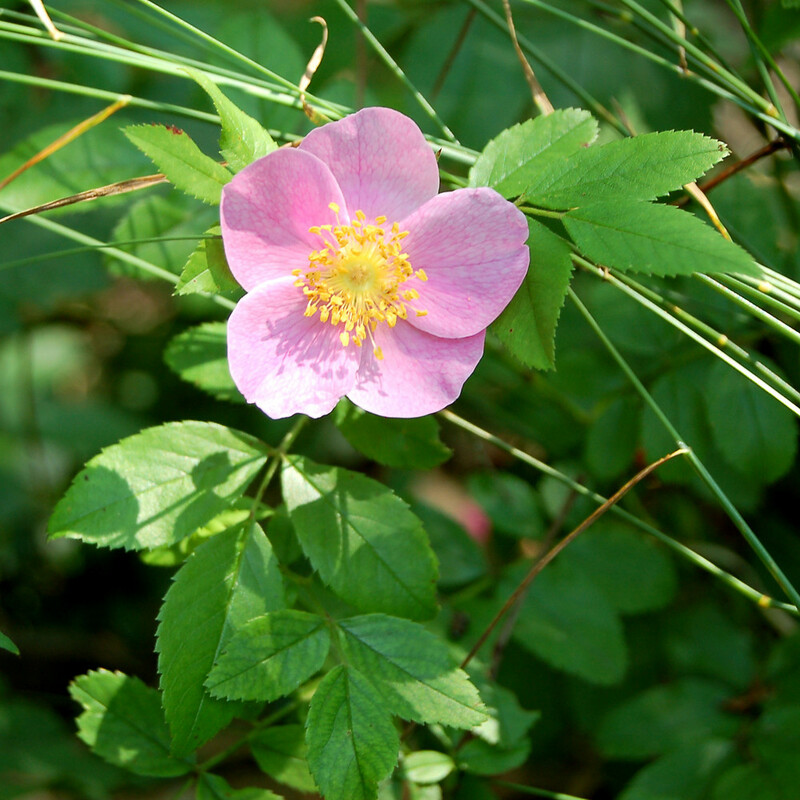 Rosa carolina.Peter Westover.New England Wild Flower Society.gobotany.newenglandwild.org (Accessed 8/2014). 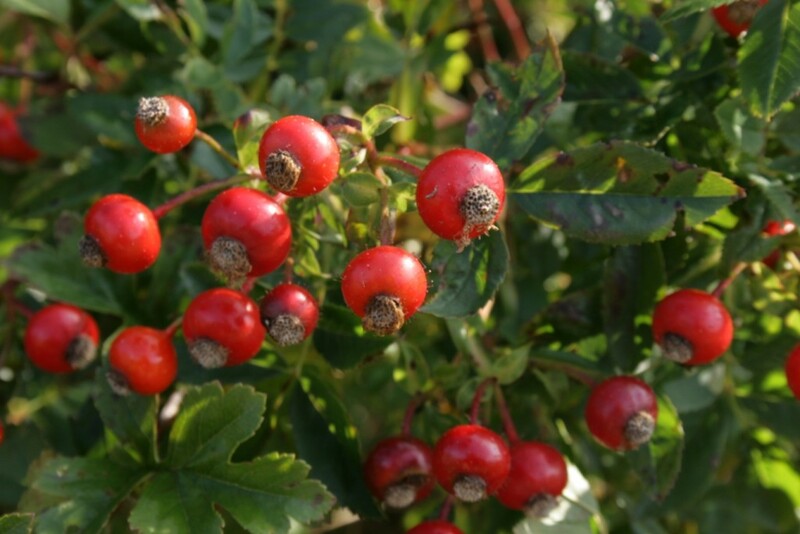 Rosa carolina is a prickly shrub, Low, slender, to 90 cm tall, stems from stolons, usually single, thorny between nodes, thorns slender, cylindrical, stipules narrow, fused along leaf stalk with free, flaring tips, margins sometimes with glandular tipped teeth. Leaves alternate, pinnate, leaflets 3-7, toothed, margin sometimes glandular; new leaves expand early May; winter plant leafless 160 days (Britton 1874). Flowers pink, usually single at ends of stems, petals 2-3 cm, sepals and enlarged flower base with stalked glands (use lens); blooms June-July; sepals deciduous in fruit. Fruit fleshy, red, 0.8-1.2 cm wide, persistent into fall or winter; fruit eaten by birds and mammals that disperse seeds. Habitat: Dry, open areas, sandy or rocky soil pH 6-8.5. Tolerant of drought. Moderately tolerant of soil compaction, should tolerate concrete debris. Intolerant of shade, flooding, salt (Hightshoe 1988).